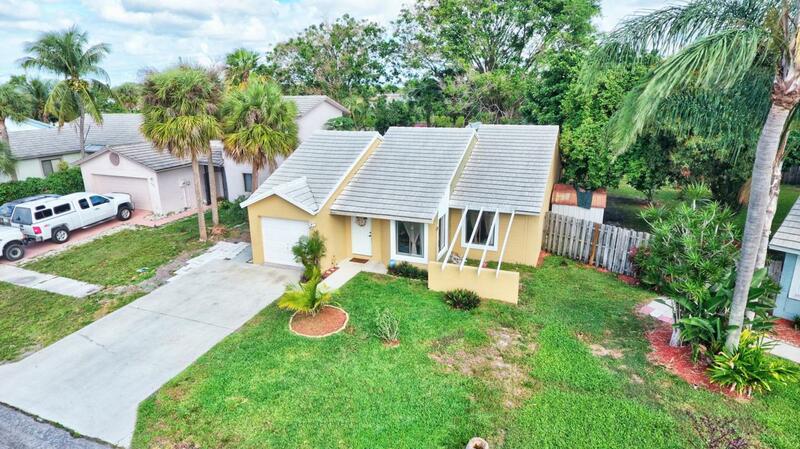 Great 3 bedroom, 2 bath, 1 car garage home with a large fenced yard in Strawberry Lakes! 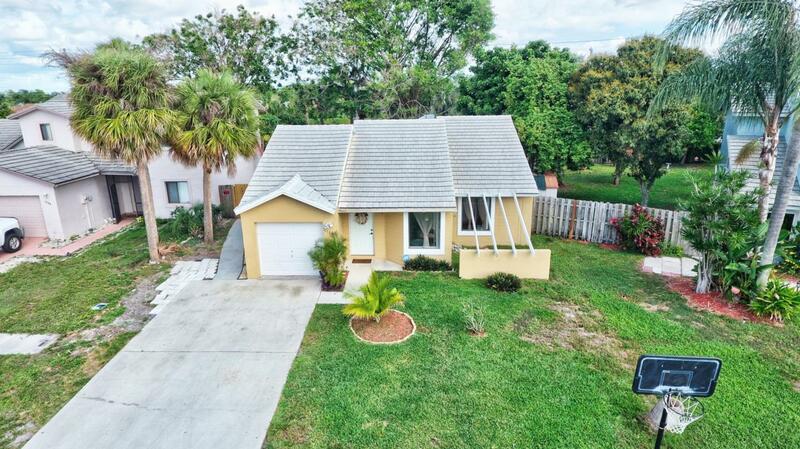 The living areas in this home are spacious and offer vaulted ceilings, a skylight and tile throughout. 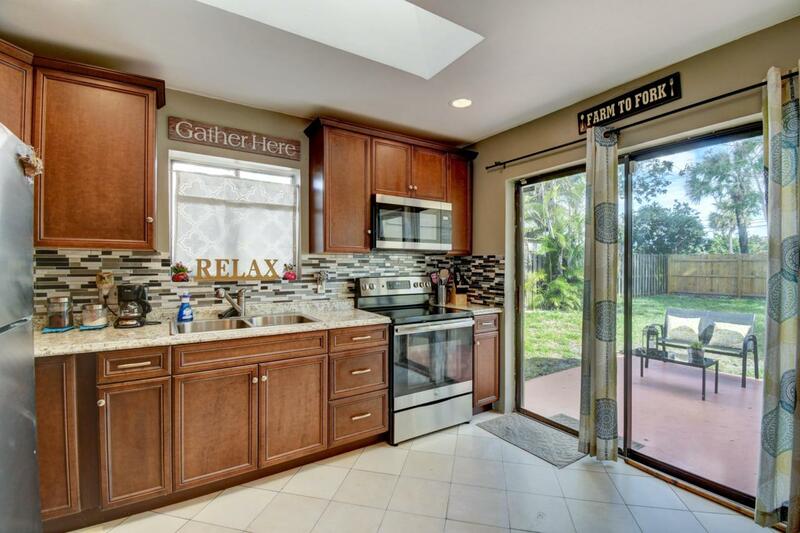 The NEWLY REMODELED kitchen is light and bright and has a great sliding glass door which leads to a very private fenced-in backyard. 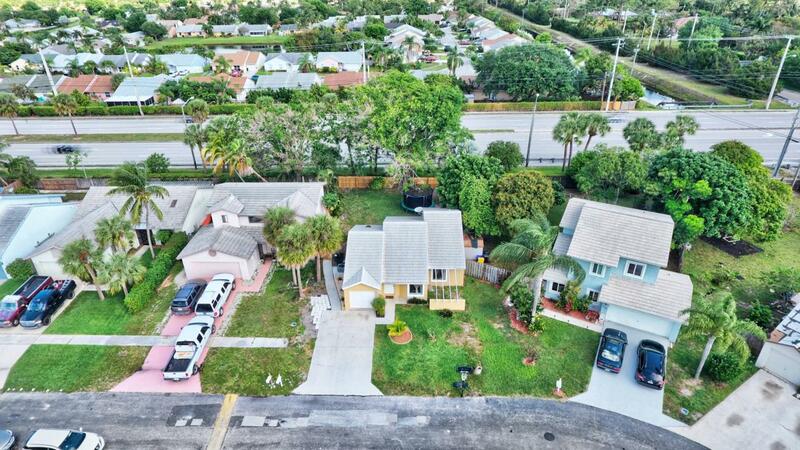 Strawberry Lakes is centrally located just minutes to the Turnpike, I-95, Wellington, Downtown West Palm Beach, area beaches and 3 international airports.